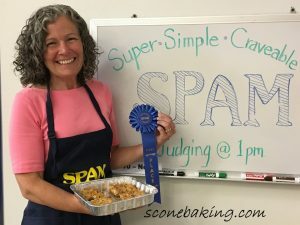 During the 2017 Washington State Fair, my Mac SPAM Hello Dolly Bars won 1st Place in the The Great American SPAM Championship sponsored by the Blue Ribbon Group. 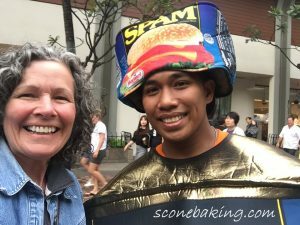 During a trip to Waikiki to celebrate my parents 70th wedding anniversary, we attended Spam Jam, which is a street festival celebrating SPAM with local restaurants and artisans, including 3 stages of entertainment. 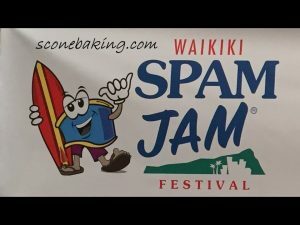 SPAM Jam also benefits Hawaii Foodbank. My Mac SPAM Hello Dolly Bars were inspired by the most delicious and creative SPAM dishes the local restaurants serve during SPAM Jam. 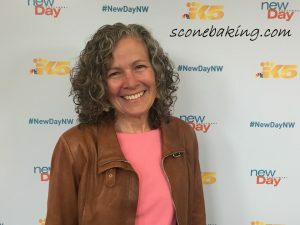 Because I won 1st Place, I was invited to be on the New Day Northwest TV show with Margaret Larson, to demonstrate how easy these cookies are to make. It was my first time on TV and it was a lot of fun. I have a link below to the episode on my YouTube channel, Scone Baking and Beyond. These super simple to make classic, Hello Dolly bar cookies, are filled with sweet, yes sweet, salty and crunchy SPAM that has been diced, cook, then candied with brown sugar and maple syrup (yes, I candied the SPAM to make it sweet). 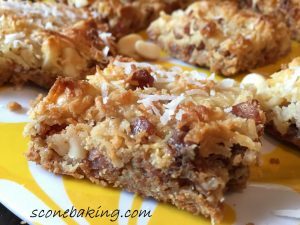 I’ve added macadamia nuts and coconut to give them a Hawaiian twist. Preheat oven to 350 degrees F. On medium heat, saute diced Spam, stirring frequently, until crispy brown and fat has been rendered, about 15-20 minutes. Add brown sugar and maple syrup, continue to saute for 1-3 minutes, until dark brown and caramelized, stirring constantly. Drain on a paper towel lined plate; then immediately remove from paper towel onto a plate; set aside. Stir together graham cracker crumbs and unsalted butter until it becomes like wet sand. Press onto bottom of a lightly greased 13″ x 9″ pan. 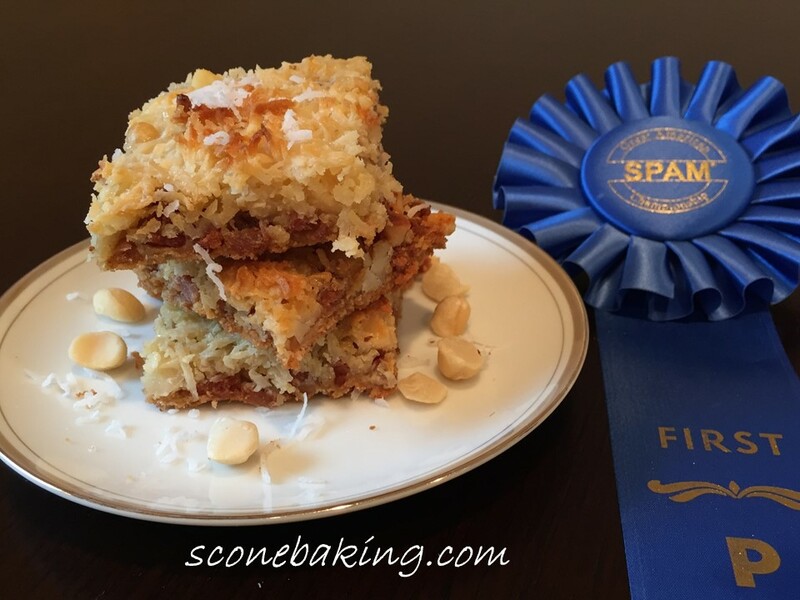 Sprinkle caramelized Spam, macadamia nuts, and coconut evenly over graham cracker crust. 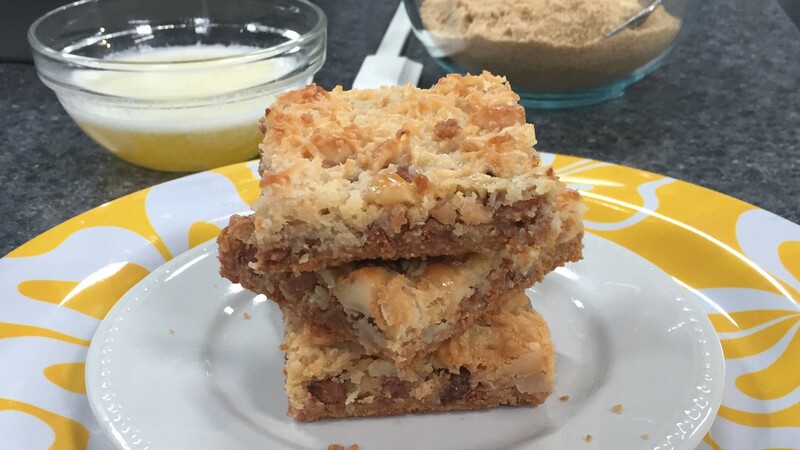 Drizzle with sweetened condensed milk evenly over coconut in the baking pan. Bake at 350 degrees F. for 25-30 minutes, or until golden brown. Cool completely on a wire rack (about 1 hour). Cut into 24 bars. Enjoy the sweeter side of SPAM. Below is a link to my YouTube Channel, Scone Baking and Beyond, where I demonstrate how easy these delicious SPAM cookies are to make. 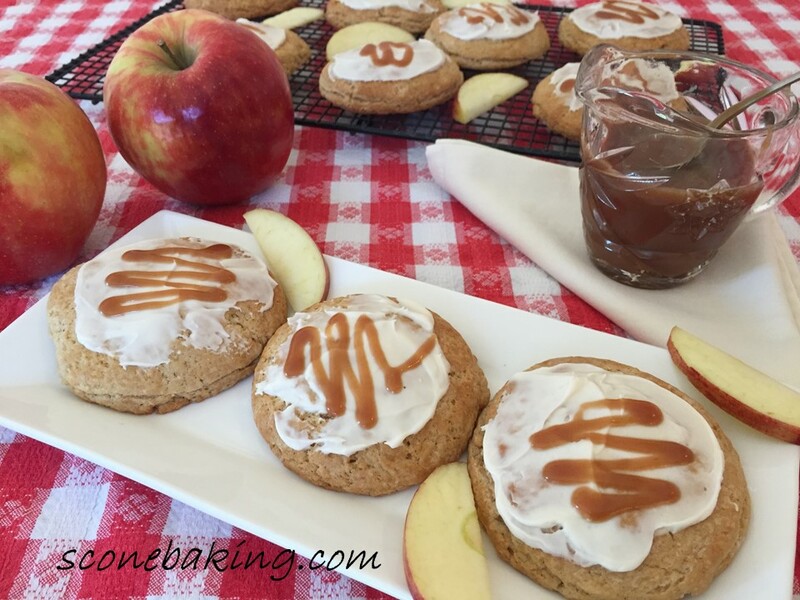 I hope this inspires you to bake!